A compact and sturdy board that will bring movement to your workplace at your standing desk while allowing you to remain focused on the work you must get done, throughout your busy day. By keeping your ankles in a neutral, strain-free position, the design enables you to pivot, fidget and balance, allowing you to stand longer at your desk. 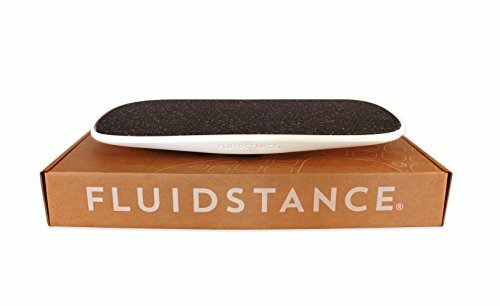 Made almost entirely out of recycled materials, the FluidStance is environmentally friendly, can be recycled and is compact and sturdy. 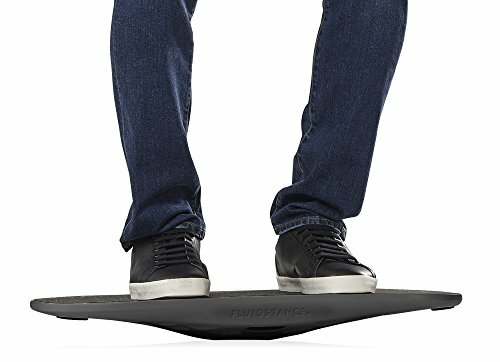 Optimized to support your needs, there is an average range of 23.98 degrees of motion on the FluidStance deck, and the board has surpassed NEAT® Certification criteria by Mayo Clinic0 for standing. This means that through standing at work, you will lower your risk of obesity, diabetes and other chronic diseases and conditions. Standing for longer periods of time allows blood to flow better through the body, especially the legs, therefore strengthening the legs and the core while also fixing bad posture that executives may have from years of work sitting at a desk. Research conducted at the Heeluxe Testing Lab for footwear research and innovation, and the Mayo Clinic found that by increasing expenditure over sitting by more than 10% passed the NEAT® Certification criteria for standing. Not for use when wearing high heels! Start moving as during work now!